One of the great things about having your own blog is that you make all the decisions about it. What the look and feel will be, what topics you will cover, how often you will post, how you promote it, and what style the writing will be. One of the great things about getting a blogging gig, is that someone has decided they like your writing enough to pay you. Cool! But before you roll up your sleeves and get started, here are some important tips to keep in mind to make sure all goes well in the blogosphere. Chances are, whoever has hired you to write, whether it be a business owner, publisher, or marketing firm, has an idea of what they want you to write about. Make sure you are comfortable with that topic, and that you are clear on any specifics that need to be included. Both the suggested length and deadline must be clearly spelled out in the agreement. Be sure to calendar any intermediary deadlines, such as requests for outlines or first drafts, and plan your time accordingly so you can meet all milestone dates. 500 words is a fairly standard length, and all the assigned posts I have published have been about that long. Most companies have a procedure for payment and terms. Presumably, a fee has already been agreed on, and this should be reflected in the contract. If you are being paid up front, that should also be specified. Typically, payment is upon completion, and it's reasonable to request a net 30-day window for payment. I've done a lot of research on what is considered a fair rate to charge, and the most common answer I found is a minimum of $100. Of course, if you are more experienced, you can seek a higher range, but much depends on the budget of whoever is hiring you. It's reasonable that your fee include 1-2 turnarounds or minor revisions, and not more then that. Assuming that you have covered the assigned topic, in most cases substantial revisions should not be needed. The number of graphics and links should be specified, and at least 2 of each is typical for a 500-word post. Links can of course include other resources on the topic, such as websites or articles, and graphics can include a variety of artwork, photos, videos, etc. 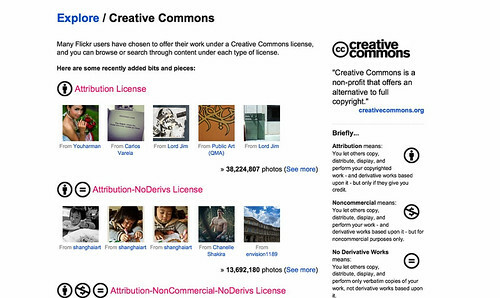 I tend to use my own photography for this blog, but a great source for royalty-free art is Flickr Creative Commons. Be sure and check the Attributions to find out what permission level is indicated for your image. Once you have submitted your post, touch base with your editor and make sure they received it and are happy with it. Find out when it's going to publish so you can grab an archive copy for your records,,and find out if the organization has more blog posts for you to write, and if they are open to your suggestions for ideas as well. Rinse and repeat! What say you? Have you worked as a blogger or blogged on assignment, and what tips do you have to share?